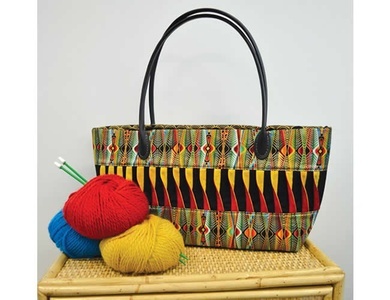 To find a local Retailer for this product, either click on the Store Locator at the top of the page, or contact us at info@thetextilepantry.com and we will find you a lovely shop close by that has stock. 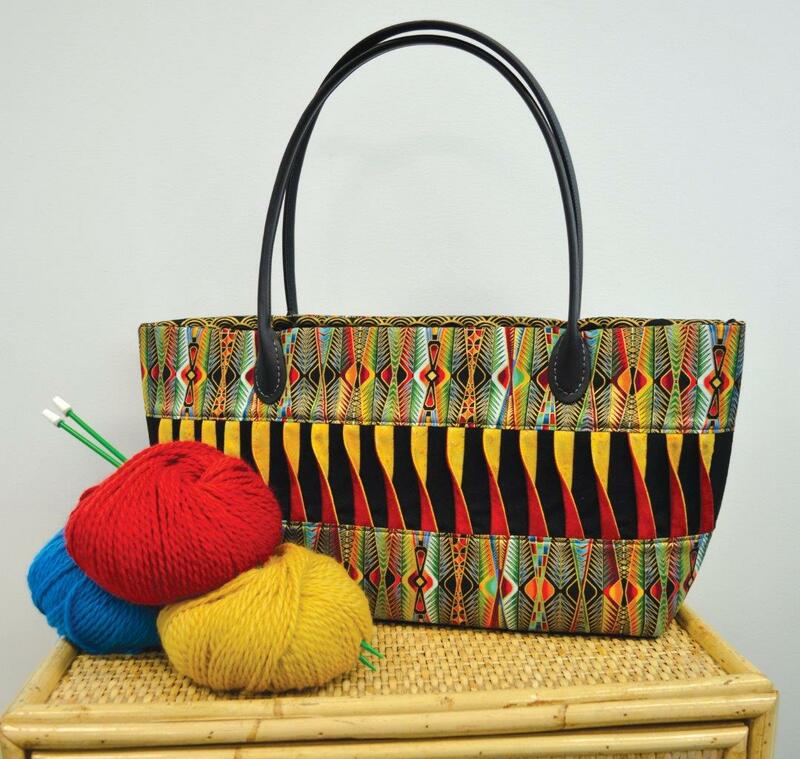 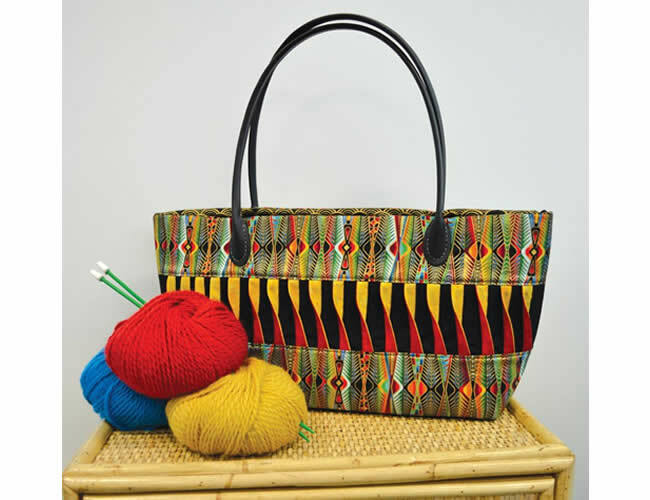 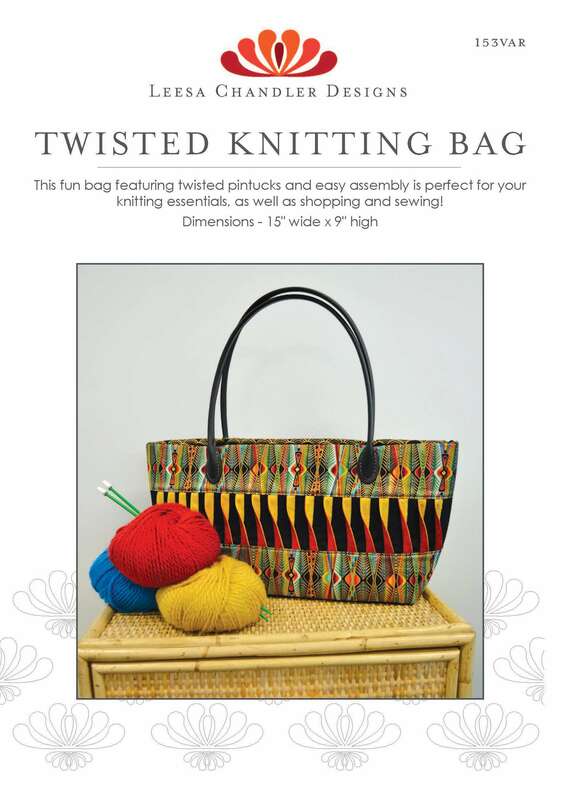 This fun bag featuring twisted pintucks and easy assembly is perfect for your knitting essentials, as well as shopping and sewing! 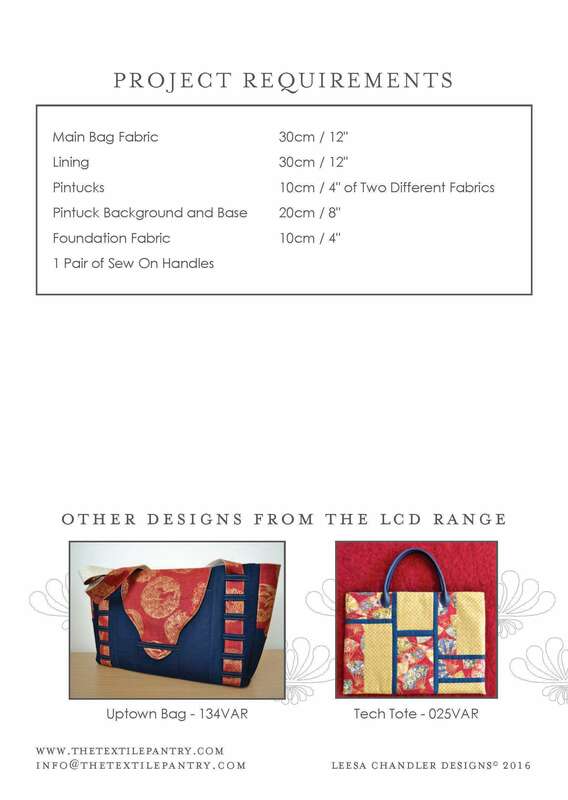 Main Bag Fabric 30cm / 12"
Pintuck Background and Base 20cm / 8"
Foundation Fabric 10cm / 4"